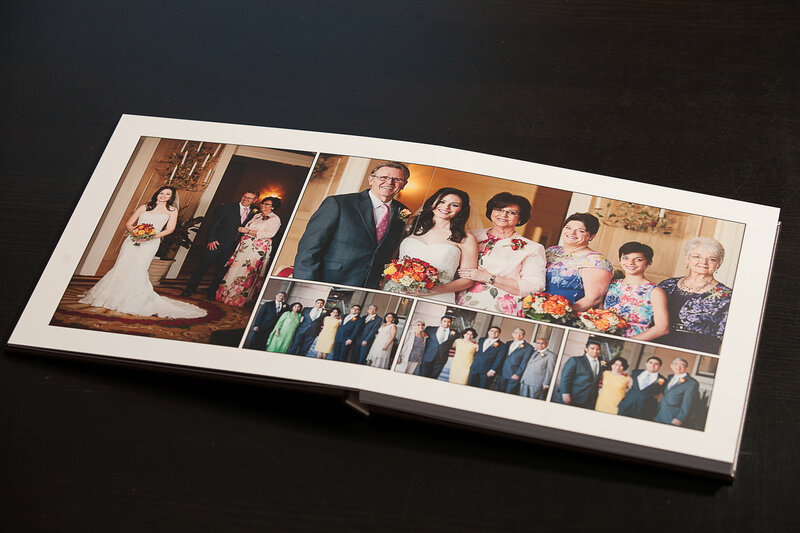 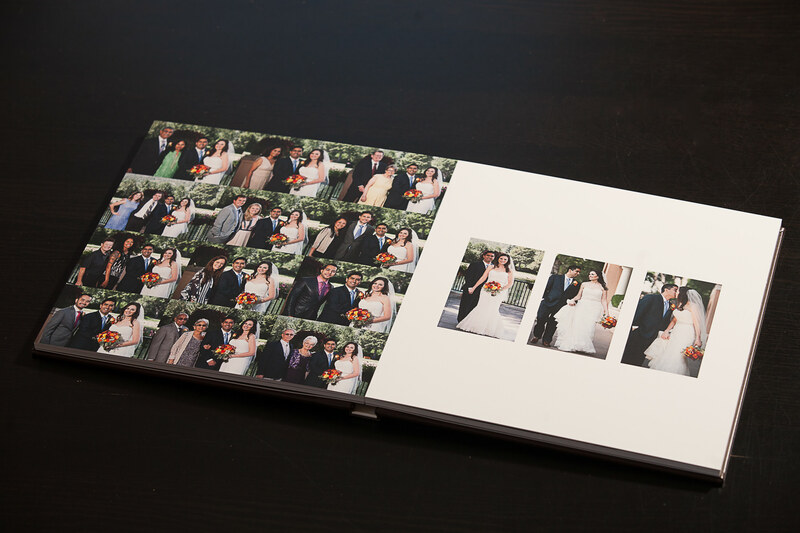 We just finished Kara and Satej flush mount wedding album. 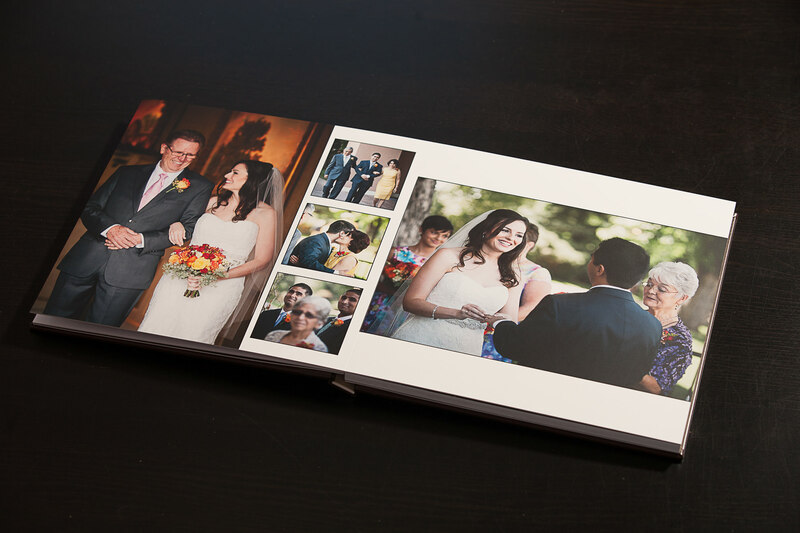 This is a new kind of wedding book for us and we’re are so pleased with it. 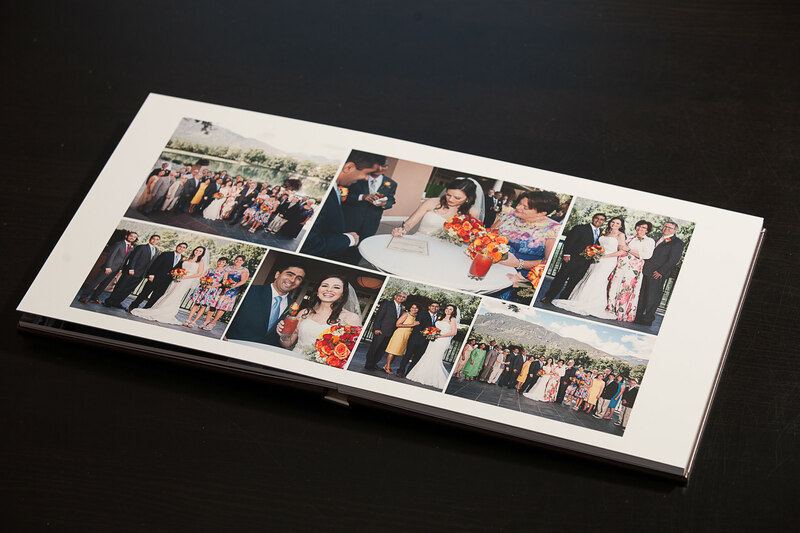 It’s a layflat album with photographic pages mounted edge-to-edge in the book. 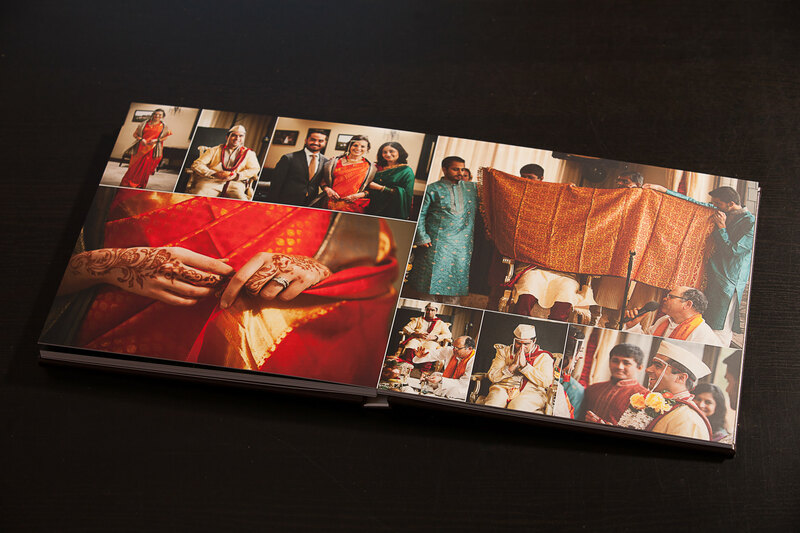 It allows us a host of new design treatments, plus we can fit a lot more imagery into the book. 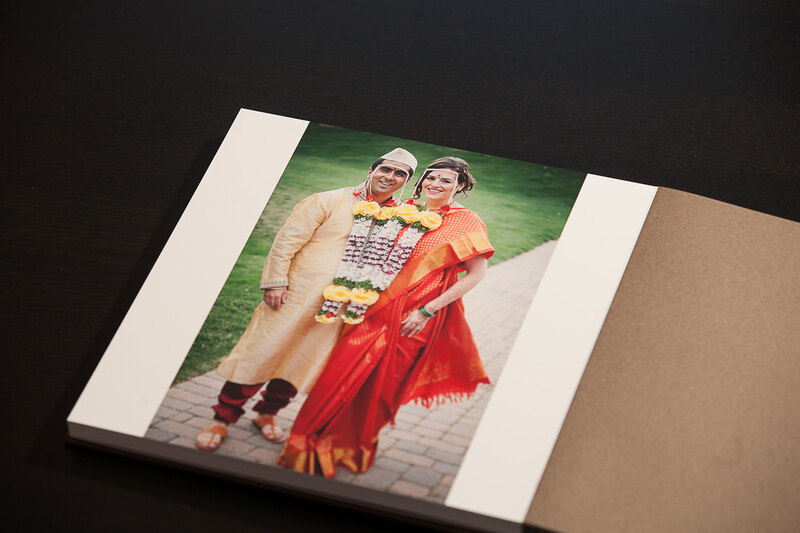 Kara and Satej were married over the course of two weekends and two different wedding ceremonies. 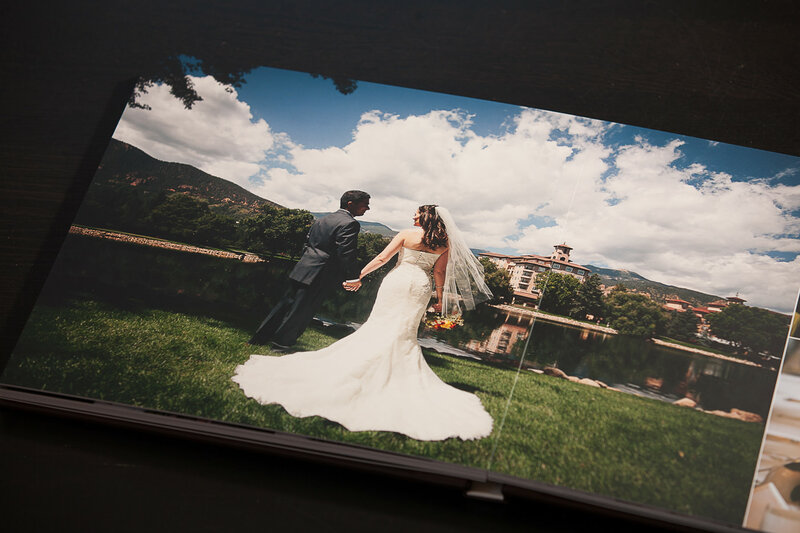 Their first ceremony was a traditional wedding ceremony at the South Terrace at The Broadmoor. 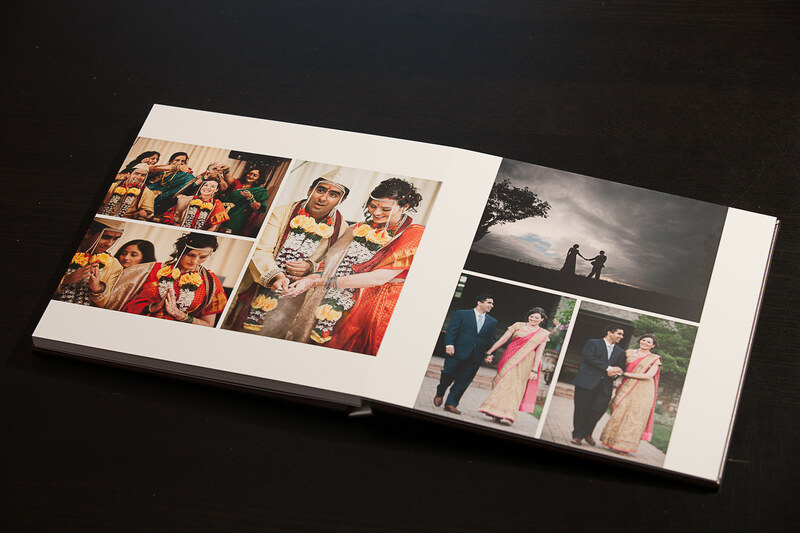 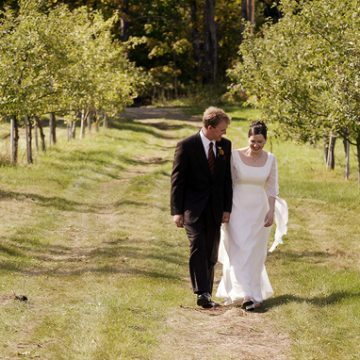 Their second wedding featured a Hindu ceremony and was held at the Black Bear Golf Club. 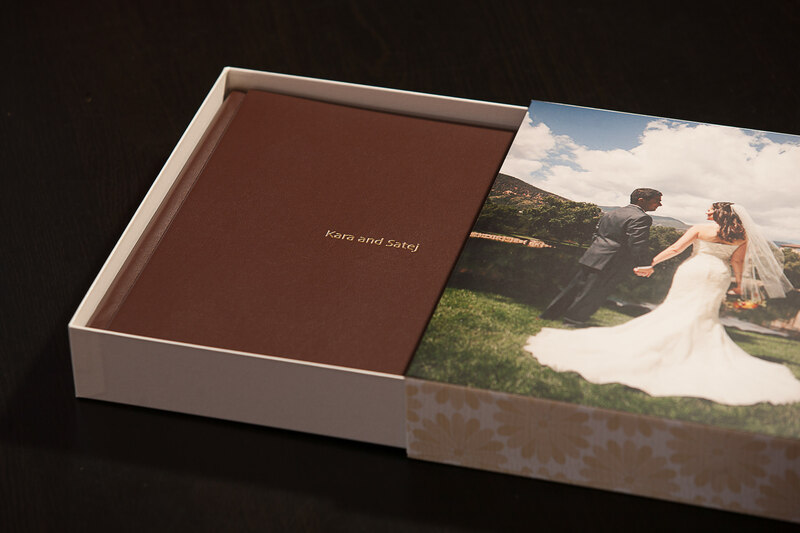 Because their storyline was larger than most, this book fit for their wedding perfectly.